NEW BATCHES ARRIVE MONTHLY! GET THE LATEST ARRIVALS! 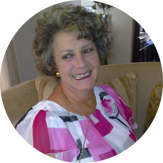 Esanlu Book Shop in Moreletta Park is owned and managed by Esme van Bergen. We sell mainly second hand books but do have a large variety of unused books, which makes excellent gifts. We have approximately 16,000 books. Books can be gift wrapped at a nominal fee.